Last year we evaluated the impact of 30 Days Wild for The Wildlife Trusts. The results were excellent and the resulting journal paper has just been published – so you can read the full 5000 words here. This blog is a short summary, but focussing on an exciting aspect of the results which is only a small part of the article. The 30 Days Wild campaign set out to encourage people to value nature more highly in their own life, with an emphasis on commonplace and accessible nature experiences – every day of June. 12,400 people signed up with an estimated 18,500 taking part overall. A sample of those taking part completed some questions beforehand, early July and then again in September. We found they had sustained increases in happiness, health, connection to nature and pro-nature behaviours. This was an excellent outcome, but for me a key point was that the improvement in health was influenced by the improvement in happiness (which makes sense), but this relationship was mediated by the increase in connection to nature. So spending time in nature helps people feel happier and more connected, and being both happy and connected makes people feel healthier. 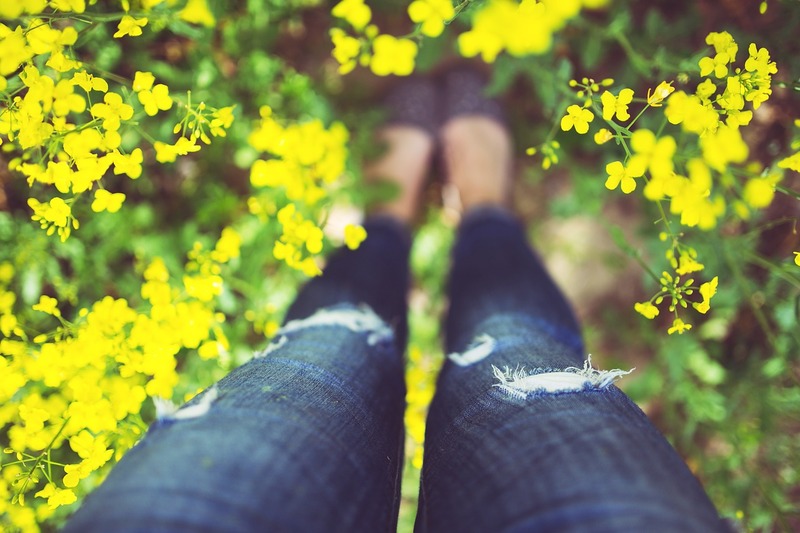 Links between nature connection and happiness have been established previously, but understanding the link to health is of value. 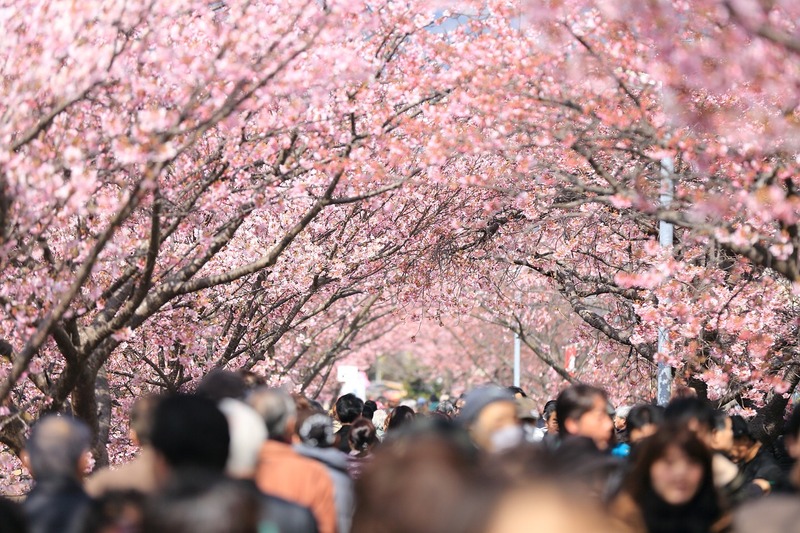 The exact mechanisms require more focused research, but this result highlights the role of nature in a happy and healthy lifestyle and our embedded place in the natural world – it places nature connection at the heart of a happy and healthy life. 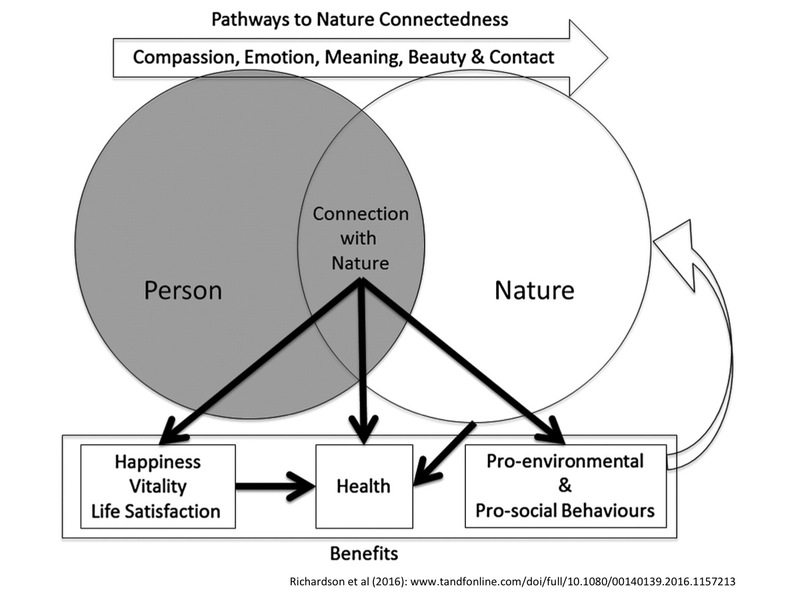 I’ve included the relationship between happiness, nature connection and health in the diagram below which attempts to summarise the benefits from a range of research and emerging central role of a connection to nature. It seems that a connection to nature provides people with the emotional balance and resilience to meet the challenges of everyday life, while also facilitating exercise, social contact and a sense of purpose. The need to address global issues like declining biodiversity and the need for healthy lifestyles that reduce demands on our health services can both benefit from increasing people’s connection to nature. Such grand challenges require large-scale upstream interventions. 30 Days Wild provides good evidence that progress can be made through partnerships with the environmental sector that use nature as a new paradigm for well-being. 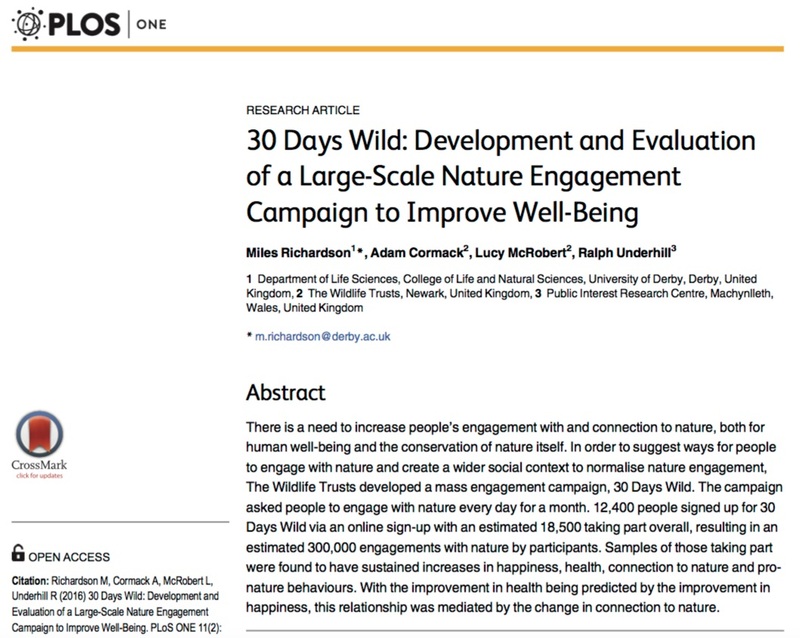 By asking people to make room in their lives for nature, every day, for thirty days, interventions can produce sustained increases in connection to nature, happiness, health, and pro-nature behaviours. An excellent publication promoting the positive effects of our connection to nature. Great to see this in PLOS:ONE too.